We are specialists in Mobile Marketing and Mobile App Development. We offer a wide variety of marketing and development solutions to help your business stay ahead of competitors and offer unrivalled levels of customer service. Please see, below, for a more thorough overview of what we can offer your business. TextBlue are pleased to announced the launch of our brand new internet sharing devices. These devices allow customers who visit your premises to connect to Wi-Fi and gain internet access but, before they connect, it prompts them to take an action you choose - whether that be subscribe to a mailing list, like your Facebook/Twitter page, view an advertisement or download an app. To find out more about these brand new Internet Sharing Devices, please click here. An alternative to our Internet Sharing Devices are our Bluetooth and Wi-Fi marketing devices. This form of marketing does not offer internet access but broadcasts out a Wi-Fi network that potential customers can connect to and, once connected, see an advertisement. To find out more about our Non-internet Devices, please click here. 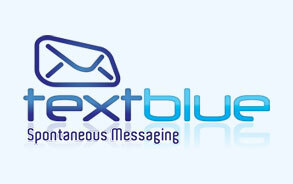 Since 2007, TextBlue have been experts in Bluetooth Marketing. Through Bluetooth technology you can effectively promote your products and services at an extremely affordable price. Bluetooth Advertising is great for sending advertising messages to phones within a targeted area; letting customers in the chosen vicinity know about any offers or promotions. We offer various products to suit any budget and project (no matter how large or small). Our Bluetooth Proximity Advertising System constantly searches for Bluetooth-enabled mobile devices in a specific area and will automatically send your customised message to these devices. With Bluetooth Advertising, you can save a lot of money and get the best results as well. We can also supply you with our Specialist Bluetooth Maketing software if you already have a device. For more information on Bluetooth Advertising, please click here. 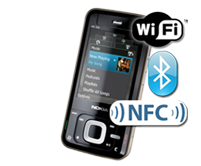 Near Field Communication (NFC) is an amazing bit of mobile technology that allows phones with NFC chips to directly recieve marketing materials whenever they make contact with a NFC tag. All of the major mobile networks are putting NFC chips into their SIM cards, which means it is the perfect time to start a NFC marketing campaign. For more information about NFC, please click here. Bulk SMS Text Marketing is an amazing tool for communicating directly with all mobiles around the world, we provide a great service and a fully functional management platform which allows you to send and receive Bulk SMS text messages online from your own fully functional account. No Account fees, and texts start at just 4.9p to send and free to receive. 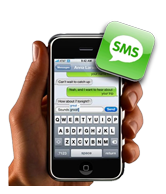 For more information on Bulk SMS Marketing, please click here. We are pleased to also offer Short Codes which are quite simply short numbers (5 digits), we can provide you with a keyword on our very easy 60777 short code which your customers can then text to, all incoming texts are stored in your online management system for easy access, which you can then use to text back to your customers for marketing or any other purpose. For a quick demo please text “TextBlue” to 60777 (standard network rates apply). 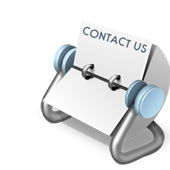 For more information on Short Code marketing, please click here. We can also provide your business with QR-Code Marketing, which allows your customers to scan in a code, using their mobile phone, and get information about your business. If you would like to read more about QR-Code Marketing, please click here. Apples iPhones are undoubtedly the most popular model of phone. With such a huge potential target market, it is mad not to create an iPhone App for your Business. 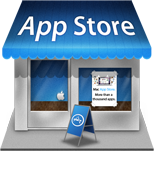 TextBlue are experts at developing high quality and Affordable iPhone Apps, which allow you to send updates to iPhones that come within the vicinity of your store. All of our iPhone Apps are specifically designed to display correctly on the latest iPhones. For more information on our iPhone Apps, please click here. As well as designing Mobile Apps for iPhones, we can also offer an Affordable Android App on Google Play. After fully assessing the requirements of your app, our experienced developers will create a detailed Android App that will meet all your needs. For more information on affordable Android Apps, please click here. Every business can benefit from a Mobile Website. Not only are Mobile Websites designed specifically to fit the dimensions of a phone, they also contain all the main images and text from your standard website. For more information on Mobile Websites, please click here.